Dealing with Freedom of Information requests could divert funds away from other police work, Northern Constabulary has warned. Last year, the force received 2,061 questions - 41% more than in 2008. Of the questions asked, 1,045 came from the media and 579 from private individuals. 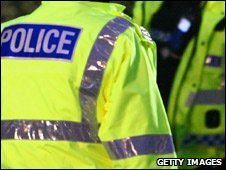 In a report to the Northern Joint Police Board, Northern estimated that dealing with the requests had cost the force £160,722 last year. Chief Constable Ian Latimer said in the report: "Assessing against previous years, the current trend indicates this rate of increase will continue with no sign of levelling off." He added: "There is concern that additional funding will be required to support this business area in 2009-10, diverting resources away from operational policing." Business and public bodies asked Northern Constabulary 178 questions, MP and MSPs made 166 requests while 15 came from solicitors. The Scottish Information Commissioner published research last year that suggested more than two-thirds of Scots wanted legal access to documents held by bodies such as private prisons. The Scottish government was reviewing the issue. The Freedom of Information (Scotland) Act, which came into force in 2005, gives the public a legal right to information held by public authorities, although some exemptions apply. But Scottish Information Commissioner Kevin Dunion warned in December there was a risk of that right being eroded, as the number of private operators providing public services increased.